Faulty equipment including a coupler and rotten railway ties led to last year's fatal train derailment near Woss, according to a new report. 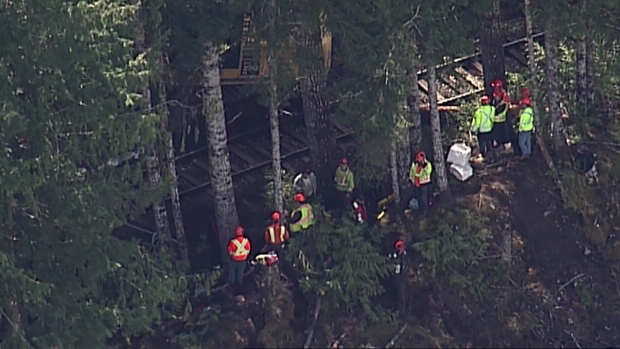 WorksafeBC has released its findings into the April 2017 derailment that killed three workers and injured two others on the now-closed Englewood Railway, a 90-kilometre line operated by Western Forest Products. The incident happened in a transfer zone where loaded rail cars were not connected to train engines. 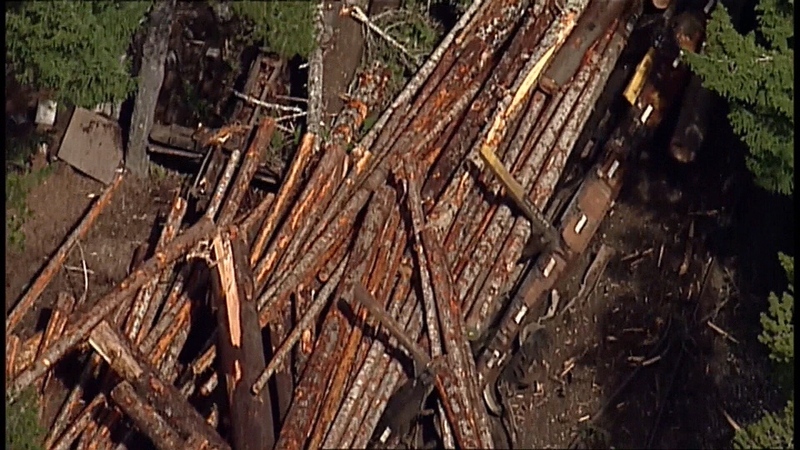 Timber was being loaded onto several cars when they began rolling downhill, colliding with a maintenance vehicle working along the tracks, the report says. Two people were declared dead in the immediate aftermath, while a third worker later succumbed to their injuries in hospital. Two other workers suffered serious injuries, with one of them undergoing multiple surgeries to repair crushed legs, according to union officials. WorksafeBC's investigation found faulty coupler components allowed some of the cars to roll away uncontrolled. "During the movement of 12 loaded railcars, 11 of them suddenly began to roll freely with the force of gravity," the report says. "A safety mechanism called a derail failed to stop the free-rolling cars, the lead car of which jumped the rails briefly and then re-railed itself." The report also says the derail device was attached to the line with decaying, rotting ties, and that it was attached with fewer spikes than were required. 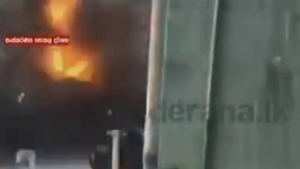 "The impact of the first car's trucks easily dislodged the derail," it said. The report notes that Western Forest Products has ceased rail operations on the line since the incident, opting to instead haul all of its logs by truck. An investigation by RCMP found no criminality in the derailment.